From the beginning of time there have been animals and creatures that have caused mankind to take pause. This isn’t so much a phenomenon as it is survival at its most basic level. Mastodons, tyrannosaurus rex, pterodactyl were just a few of the nemeses to the cave man. Through the centuries, mankind, animals and creatures have all evolved – but the natural fear and survival instinct has remained the same. Man’s willingness to put aside those fears and face his adversaries has long been seen as heroic and enviable. All of this helps to explain why a group of investors assembled in Japan in 2005 were dubbed the Tigers of Money. Entrepreneurs would present their big idea(s) to them seeking financial investment. The investors would question and challenge the concepts, make counter offers or reject the idea outright. It’s an age-old premise – man (entrepreneurs) standing up to face a tiger (the men with the money, holding man’s business survival in their hands). Of course, this was a made-for-television reality show. The idea, owned by Sony Pictures, was so popular it was replicated in 2005 for BBC television in Great Britain. This time, in typically British knightly fashion, the entrepreneurs had to face dragons – the show being called Dragon’s Den. The show’s popularity spread to several countries. It was inevitable that the show would migrate to the U.S. where it debuted in 2009. The entrepreneur (man) here faces investors in the form of a new life-threatening predator, the shark. It was the perfect choice given the impact on the U.S. public of the movie JAWS and the on-going popularity of the Discovery Channel’s series Shark Week. A key factor increasing the odds of the show becoming a hit in the States was the show’s producer, Mark Burnett. His track record included stratospherically successful shows including Survivor and Celebrity Apprentice. The most critical element, however, would be the panel of potential investors – the Sharks. The original cast included Kevin Harrington, creator of “As Seen on TV”; Barbara Corcoran of real estate fame; Daymond John, founder of FUBU; Canadian Kevin O’Leary of The Learning Company and Robert Herjavec, another Canadian and business investor. The premier episode drew 4.3 million viewers, middle of the road numbers. Season 1 demonstrated that the concept would work. That season also saw the launch of Ava the Elephant, a talking medicine dispenser for children. Season 2’s cast added internet and music tycoon, Mark Cuban while Season 4 saw the addition of Lori Greiner, the “queen of QVC”. The show has all of the elements needed to be successful. The cast of investors has great name recognition and each investor has taken on a role. Kevin O’Leary has become the ‘evil’ shark, Lori Greiner, the more kind and supportive shark and the always challenging yet charismatic shark, Mark Cuban. The show has been renewed for an eighth season as it consistently draws over 6 million viewers and is especially strong in the all-important 18-49 demographic. There have been dozens of successful products including Scrub Daddy, Tipsy Elves and Wicked Good Cupcakes. But what makes the show so appealing isn’t really the investments or the products – what makes the show such a smash hit is the human element of ‘man vs beast’. It is the focus on the people – their enthusiasm, their hopes and dreams which draw the audience. It’s that emotional connection that makes Shark Tank a fearless brand. Shark Tank is a fearless brand because it combines so many elements and factors in a single value proposition. Shark Tank represents the opportunity that everyone either strives for or dreams about. It’s the emotional aspect of the show that makes it so relevant to viewers. Although it is considered a reality show, not everything is as it appears. The intro of every shark is exaggerated to some degree – with the exception of Mark Cuban. Nearly two-thirds of the deals made on the show are not consummated. Aspiring entrepreneurs had to ‘pay to play’ until 2014. There was a clause by which contestants agreed to give either 2 percent of their profits or 5 percent equity in their company to Shark Tank’s production company, whether they closed a deal or not. That payment was eliminated in 2014, retroactively to Season 1, when Cuban said that either that clause or he would be gone by the next season. What is completely real is the human factor. It’s the story of the contestants’ – the people’s – hopes and dreams for their lives and families – that make Shark Tank a fearless brand. There’s much to learn from the show as you build your fearless brand. Embrace your difference – Shark Tank was not an original idea. The show had proven successful in several countries and several iterations. When it was brought to the States, however, it was differentiated for the U.S. market. The most obvious change is the name. America’s ‘deadly beast’ would be the notorious Great White. Shark Tank leveraged the celebrity status of many of the sharks, most of whom are ‘rags-to-riches’ stories themselves. When you build your brand – don’t duplicate! Be inspired, learn from others, but celebrate your uniqueness – that’s what makes your brand your own. Build relationships – At its core, Shark Tank is successful because people care. They are invested in the dreams. They are rooting for the ‘little guy’ to succeed. The most effective brands create powerful emotional ties with their customers and fans. Connect. Be human. Remain relevant – Shark Tank has changed and adapted through the years. The investors rotate across shows. Fresh investors such as Ashton Kutcher and Troy Carter have been added to the mix. The night and times that the show airs has been adjusted. 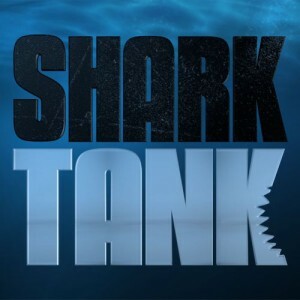 The producers created a ‘brand extension’, the spinoff show “Beyond the Tank” which follows the performance of the deals highlighted on the show. This ‘where are they now?’ approach adds to the relevance of the primary show because it closes the loop. Adapt, adjust, transcend – whatever it takes to keep your brand relevant. Shark Tank is reality television that creates skeptics. Your brand will have skeptics as well. Don’t let that become an issue for you. Be your own shark – differentiate, connect and remain relevant. You’ll build a fearless brand and achieve the results of your dreams.